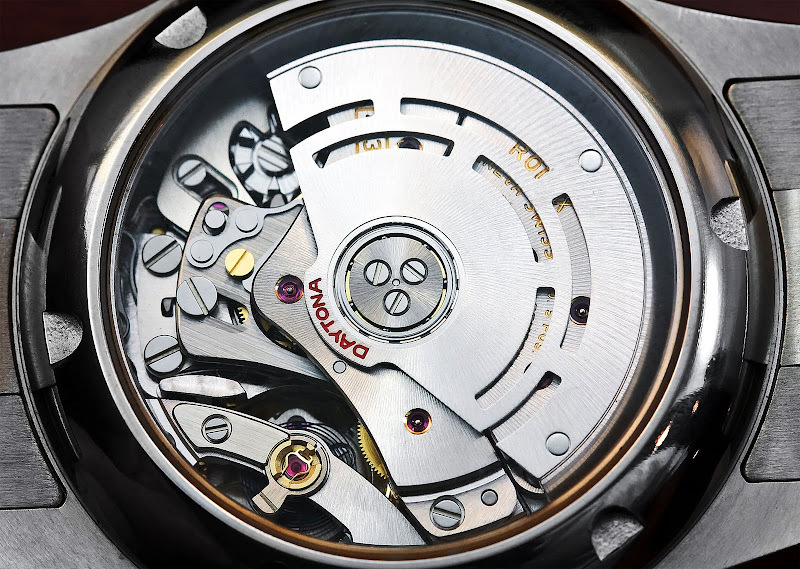 John Holbrook is an extremely talented professional watch photographer and writer that has been published in nearly every major U.S. watch magazine including, International Watch (IW), Chronos, InSync, as well as Watch and Jewelry Review. 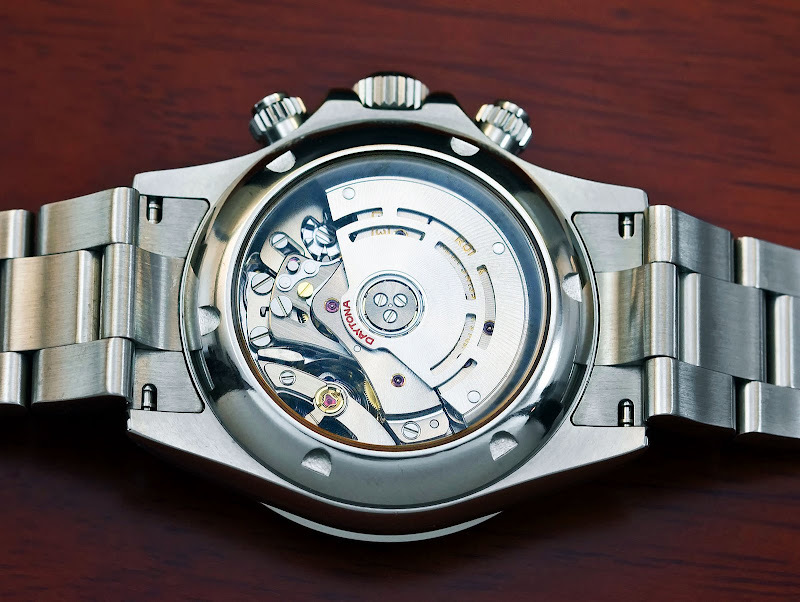 John's love for beautiful mechanical watches has driven him to create his own RolexReferencePage.com as well as his own watch forum named WatchTalkForums.com. This story is about John Holbrook's desire to go beyond enjoying the beauty of his Stainless Steel Rolex Daytona by showcasing the inner-beauty of his Daytona. John cracked open his Rolex Daytona and could not believe how beautiful the in-house Rolex movement was and he took the two following photos of his mechanical masterpiece. Tip: You must click on all of John's stunning images to really enjoy the beauty he captured with the Rolex Daytona movement. John said, "Not only was I amazed at how stunning the in-house Rolex Daytona movement was, I was blown away with how beautiful the Blue Parachrom Hairspring was!!! I could not stop looking at the movement and I thought the inside was as beautiful as the outside. I had to find a way to easily be able to enjoy looking at the Blue Parachrom Hairspring as well as the rest of the beautiful Rolex movement inside without having to open up the Oyster." 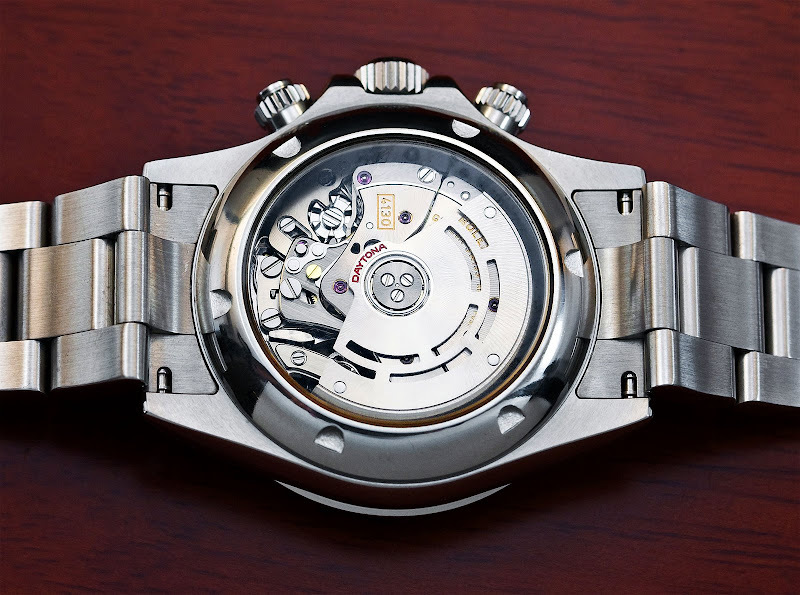 John figured out how to permanently enjoy viewing the inside of his Stainless Daytona. He found a German manufacture that specializes in making synthetic sapphire casebacks which you can visit by clicking here. 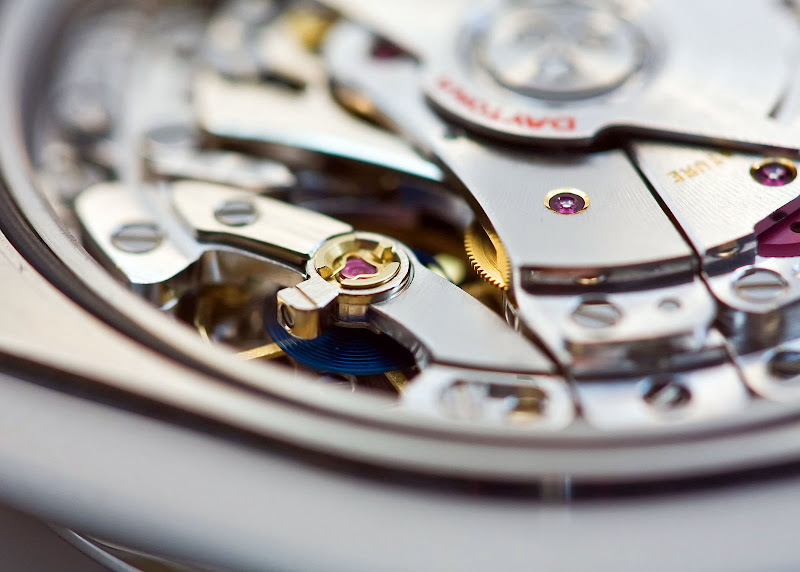 There are two schools of thought in the Rolex world about customizing or enhancing Rolex watches. The first school which I will refer to as "purists" believe it is sacrosanct to modify a Rolex in any way. The other school of thought is that if you can find a way to make your Rolex better, you should do it. I happen to belong to the latter group with my pals John Holbrook, Hannes of the R-L-X.de German Rolex forum and Oysterworld.de as well as Sheldon Smith. I think John Holbrook so significantly enhanced the beauty of his Rolex Daytona, and I urge the designers at Rolex to make these showcase backs standard issue on all Rolex watches. I say, let the inner beauty of Rolex shine through!!! 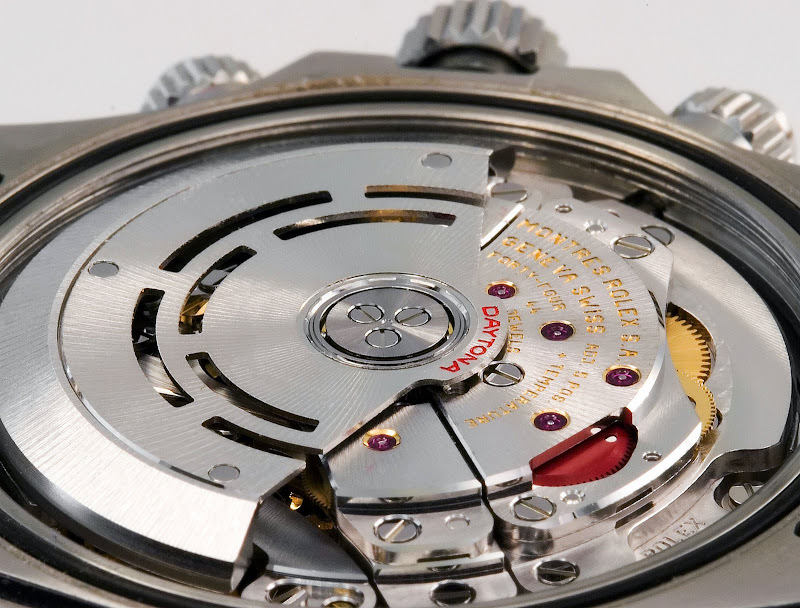 I would like to thank John Holbrook for sharing all the stunning photos of his Daytona movement and showcase back.